The need for further Tehran-Madrid cooperation in all fields, including energy and tourism, was stressed at the meeting. 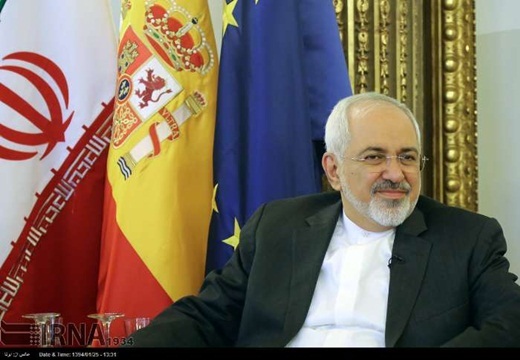 Visiting Foreign Minister of Iran Mohammad Javad Zarif discussed issues of mutual interest in a meeting in Madrid on Tuesday with his Spanish counterpart Manuel Garcia Margallo. The two stressed the need for further Tehran-Madrid cooperation in all fields including energy, tourism, fisheries, agriculture, railways and water management as well as infrastructure sector. Zarif arrived in Madrid early on Tuesday. He is to depart Madrid for Lisbon, Portugal, later in the day. The two foreign ministers also exchanged views on latest regional developments particularly the situations in Syria, Iraq and Yemen stressing the need to fight against terrorism. The Iranian minister stressed the need for resolving the crisis in Yemen through peaceful means including an immediate ceasefire, relief operations, dialogue among Yemeni groups (Yemeni-Yemeni talks) and formation of an inclusive government. Meanwhile, Margallo welcomed Iran’s solution for the crisis in Yemen. Reviewing latest developments in the nuclear talks between Iran and the Group 5+1, the Spanish foreign minister hailed positive steps taken during the talks hoping that would lead to reaching a final comprehensive agreement between the two sides.